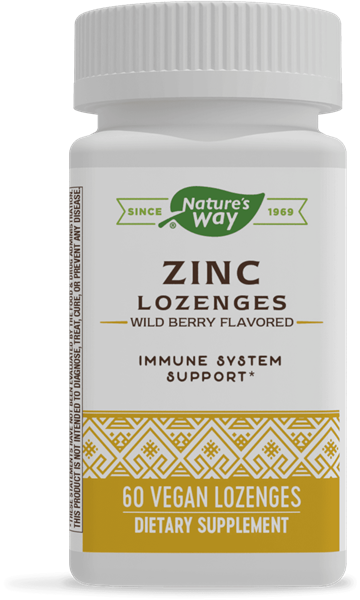 Zinc / 60 Lz - Nature's Way®. Take 1 lozenge every two hours, up to 6 lozenges daily. Do not use for more than 7 days. Caution: This product is only for use in adults (18 years and older). Do not take this product on an empty stomach to avoid a minor upset stomach. Do not chew or swallow the lozenge whole. Dissolve completely in mouth. Not recommended for individuals with autoimmune conditions. Persons with allergies to plants of the Asteraceae (Compositae) family including ragweed should use this product with caution. If pregnant, nursing or taking any medications, consult a healthcare professional before use.